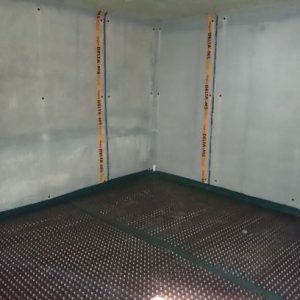 Basement Waterproofing; What are the Grades & Types? If you have been considering waterproofing your basement, it is quite probable that you will have seen BS8102: 2009 being mentioned. This is the British standard, which outlines the code of practice for protecting structures below ground from water ingress. It breaks down basements into 3 grades of water-tightness and the types of waterproofing into 3 types. In the original issue of BS8102, there was a 4th grade, which largely referred to Archive Storage where absolutely no water penetration would be acceptable and also, water vapour would not be tolerable. However, this 4th grade was dropped when the standard was re-published in 2009 because generally, this expectation would be the minimum objective, when considering most habitable buildings. So! We know what Grade 3 refers to and this is the objective for habitable buildings i.e. water ingress and damp areas are not acceptable. This means, that, aside from the waterproofing system, it is equally as important to consider the correct levels of heating, ventilation, air circulation, extraction etc. at the design stage, so-as-to mitigate the likelihood of internal dampness which may be the result of condensation. Looking at the other two grades (1 and 2) of BS8102:2009, they do tend to fall into “grey” areas. Grade 2 refers to the fact that “damp areas may be tolerable”. Well, this really is a bit more subjective because what is tolerable to one person may not be to another. In essence, it is referring to the possibility / probability of condensation forming because it has already told you that “water penetration” is to be eliminated. 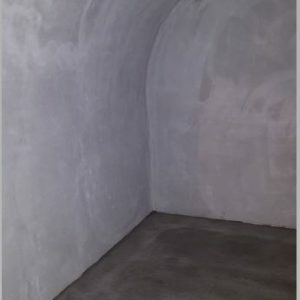 A typical area where it would be right to refer to the system being Grade 2 would be the conversion of an under-pavement vault from a dis-used coal store, to a usable storage space. It is important to try and ascertain exactly what is to be stored. If it is to be a wine storage area, some dampness as a result of condensation, may not be an issue. However, if it is to store organic materials such as boxes, cases, etc. then internal humidity could be a problem. In this instance, it is important to note that some low-level heating and an extract fan unit with a humidistat control may be needed. Grade 1 says that some water seepage and damp areas may be tolerable and generally, this could refers to, as it says, car-parks and plant rooms. Even in these areas, the objective at the design stage is going to be to keep water out. A plant room has various items of equipment in and nobody is going to want to have to go into a plant room to service equipment, where there is water all over the floor. Therefore, in that case, for the servicing engineer, it is unlikely to be seen as “tolerable”. Likewise, in an below ground car-park, are the people who park their cars going to use the car park if there is water all over the floor, which they have to walk through when going to, or from, their cars? It is unlikely. Another scenario could be an underground car-park which has designated spaces for people living in properties above it. Calcified water is dripping from a construction joint in the concrete directly onto somebody’s prized car. Again, it is unlikely the owner of that car is going to find water seepage “tolerable”. So, you see, defining an area as Grade 1, Grade 2, or Grade 3 is not simple but! there is a need to be realistic with this and it would be totally unrealistic to define a car-park as, for instance, Grade 3 and vice-versa. This is where a structures is constructed from concrete or masonry and offering no protection against the ingress of water or water vapour by the nature of its design. Protection is therefore totally dependent on a continuous barrier system applied to the structure. This would either be applied on the external (positive) side, or the internal (negative) side. In this scenario, the structure will be designed and constructed in reinforced or prestressed concrete either to BS EN 1992-1-1:2004 and BS EN 1992-2:2005 [to minimize water penetration], or to BS EN 1992-3:2006 [to prevent water penetration]. However, dependent on the chosen grade of basement use, transmission of water vapour (positive to negative sides) may not be wholly prevented. Generally, the structure will be constructed from structural concrete to minimize the ingress of water. Any moisture which does find its way into the basement is managed and channelled, collected and discharged via a sump / pump unit. Vapour transmission may be prevented by ventilation of the cavity created by the cavity membrane system. A cavity drained membrane system can be installed as retro-fit (into a refurbishment project) or as part of a new-build project and is generally considered the most effective and trouble free. Although, it is extremely important that the system is maintained i.e. the drain channels are flushed through and the sump / pump units are serviced at the required intervals. 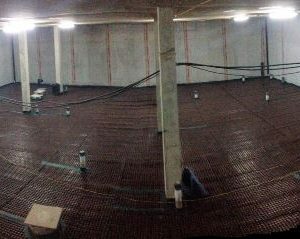 If you are considering converting your basement it is worth arranging for a CSSW (Certified Surveyor in Structural Waterproofing) qualified surveyor to visit the property so that your requirements can be properly assessed.